Apart from being one of the most traffic areas in Croatia, Gorski Kotar and Lika have exceptional natural elements, which make them the ideal destination for every season. The geographical position of this area is specific because apart from the Velebit Mountain Massif there is also a sea exit which makes it ideal for summer holidays as well as for lovers of snow activities and sports. Apartments and houses that are situated in untouched nature are an ideal opportunity to escape from the crowds of urban surroundings as well as for a comfortable vacation for the mind and body. 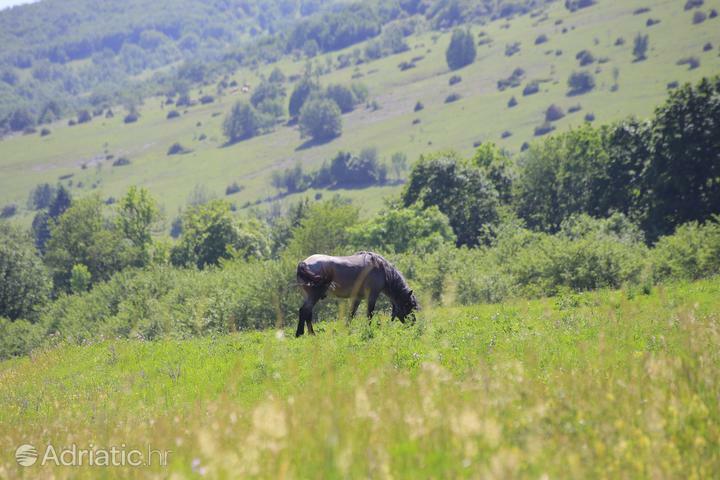 But do not think that untouched nature is the only thing that Gorski kotar and Lika can offer to their visitors. Many events and people who have changed world history, unusual cities, and original domestic food. What would a person want more on a vacation? Do you know that 2 hours is enough to experience heaven on Earth? You need to visit all the beauties of the oldest and largest National Park in Croatia listed on the UNESCO World Heritage list in 1979. It consists of a series of different waterfalls that flow into the crystal lake. 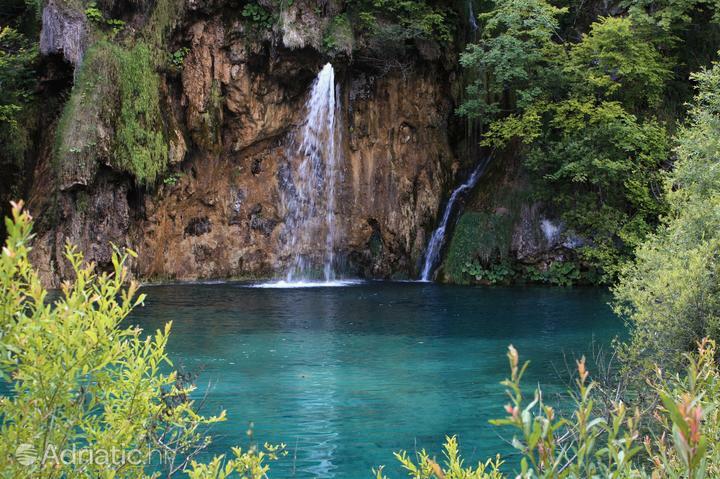 Considering the beauty that can't be described with words, Plitvice lakes will give you an unforgettable experience and provide incredible scenes that you can capture with your camera. Plitvice lakes are special because you can visit them in every season, and you can have an amazing experience during winter because the waterfalls are frozen so it may give you a feeling that you are in the middle of a snow kingdom. Apart from the national parks, Gorski kotar and Lika offer unique natural phenomena and sights to those who are looking for more action on vacation. The Grabovača Cave Park, located 2.5 km from the town of Perušić, is home to a multitude of endemic plant and animal species. Such an environment is ideal for cyclists, speleologists, kayakers and many others. It is also worth to mention the cave Samograd, which many call the „underground cathedral” due to unusual natural-shaped rocks. Many speleological places can be found in another national park in Northern Velebit. The great challenge for every speleologist will give one of the deepest caves in the world known as Luka's Pit. The area of northern and southern Velebit is great for hiking and active walks, but be careful, don't start your journey if there is „bura” blowing. Bura is a wind that can easily go up to 100 km/h and it is common for this area. The county capital town Gospić is a place that should be on the list of places you need to visit. Except for the fact that it has beautiful architecture, this small town will introduce you to its exhibitions from numerous museums with important historical events and culture. You must not miss the memorial center dedicated to Nikola Tesla and his inventions in his birth house in Smiljan. Do you want to experience the strongest wind in Croatia? You shouldn't miss the city of Senj, but apart from this natural phenomenon, a small town will also take you through the most important historic events in Croatia. Apart from being one of the most famous family ski resorts, Platak is ideal as a summer destination for hikers, climbers etc. It is worth to go to the highest point of Platak (1,363m) and experience the incredible scenery from which you can have an amazing view of the sea. 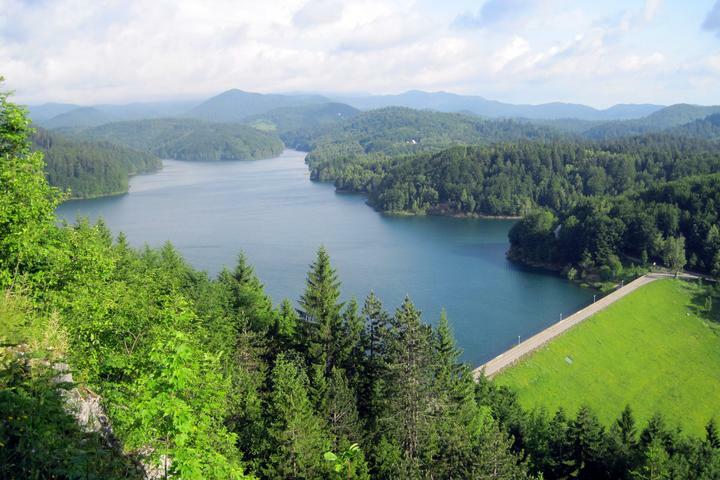 Although the Gorski Kotar region mostly consists of mountains, that does not diminish its natural and geographical importance. The first example is nature reserve named White and Samarian Rocks, which by their unusual looks remind us how nature can truly be amazing.